We’ve heard it said that “necessity is the mother of invention,” before. Never in the history of mankind have we needed blue blockers. But with adults in the United States now averaging 11+ hours of screen time per day, we can’t afford the potential eye (and brain) damage any longer. We are using electronics virtually non-stop. The quantity of screen time we engage in may be wreaking havoc on our sleep patterns. Looking for regular reading glasses? We have a separate post for that. 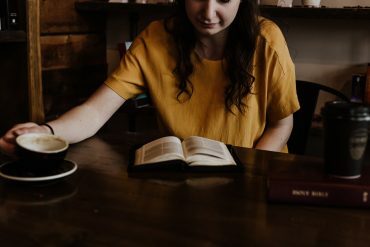 From computers and smartphones to televisions and e-readers, we use them all for both pleasure and work, and we derive many benefits from them regularly. However, if we use any of these devices too close to our bedtime, then it can actually derail our sleep cycle. The light emitted from these electronics energize our brains and inhibit melatonin production. Melatonin is the hormone our body naturally produces to help initiate sleep. To protect our brains from the blue light that is emitted while using these devices, blue blocker glasses can effectively block the light that threatens to disrupt our sleep. They work similarly to the way the night filter on a smartphone works. The lenses of blue light blocker glasses block the blue wavelengths before they can hit our eyes; therefore, the light will not affect our brain. Take our advice: choose your blue blockers after careful research. Fortunately, we’ve done the research for you! There are lots of choices but don’t worry– we narrow down the functional and only recommend the best of the best. 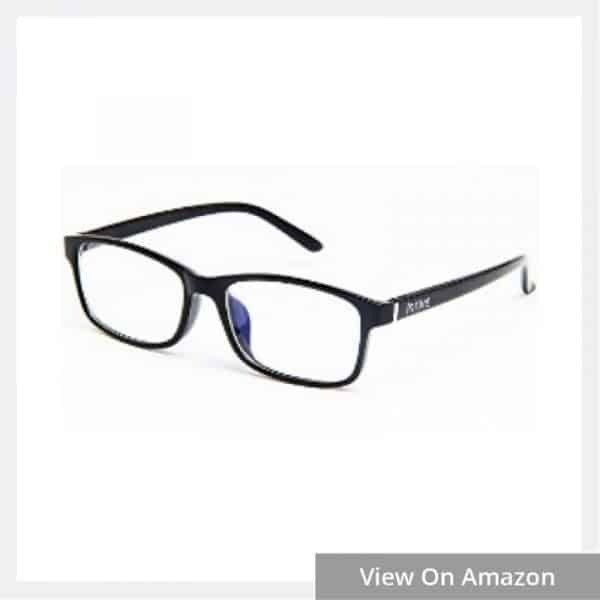 Below are some of the highest-rated blue blocker glasses available. Happy Reading! Part of the visible light spectrum, blue light has a short wavelength which essentially means it is a much higher energy wavelength. It can be found naturally in sunlight and is also a critical component of our sleeping and waking cycles. The part of the spectrum that is visible consists of waves falling between 380-780 nm. This is below the range for ultraviolet (UV) light and even below that is infrared (IR) light. The blue light of this visible spectrum is between 400 and 465 nm with the most harmful blue light rays falling in the range of 415 and 455 nm. 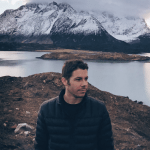 Blue wavelengths are beneficial to us during daytime hours because they can help improve our energy levels, boost our reaction times, and put us in a generally good mood. However, when exposed during nighttime hours, tells our brain that it is daytime which suppresses the production of melatonin and therefore, we stay alert and do not feel tired. It disrupts our natural circadian rhythm. While blue blocker glasses can be referred to by a variety of different names, each one of them accomplishes the same task – they effectively block the blue light. With that being said, there are a few things to keep in mind when choosing a pair of blue-blocker glasses. Lens colors for blue light blocking glasses range from yellow to orange, and you may even find a dark red variety as well. The lens darkness is one indicator of how much blue light they will be able to successfully block. For nighttime use, you will want to have much darker lenses than the lighter lenses that are more ideal for daytime use. One of the biggest considerations for the lens color depends on what time of day you will be using the glasses. 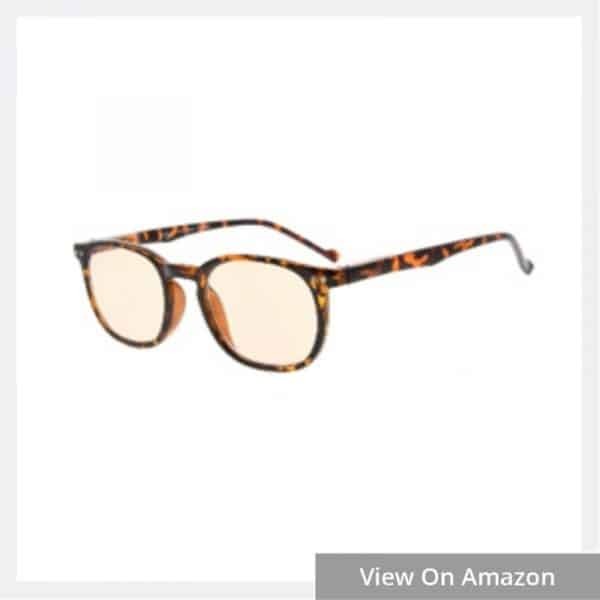 These glasses come in different styles and frame colors, but the most standard and traditional pairs will be limited to a black or tortoise shell color for the frames. However, you will be able to find a style that you love if you widen your search. Blue light blocking glasses can prove to be beneficial to people of all ages, so you can find them in both adult and children’s sizes. The adult versions are largely available in unisex styles and sizes that will fit the average adult sized head. If you already wear eyeglasses to help you see, then you will want to consider wearing contacts with the blue light blocker glasses. Or you can find a pair of glasses that will fit comfortably over your reading glasses. There are some that are designed to fit nicely over your everyday glasses if you can’t or don’t wear contacts. You can also find that you can get certain magnification options that closely match prescription strength eyeglasses. The magnification will be the same in both lenses – as you would find with regular reading glasses. In addition to protecting our brains and helping improve our sleep cycle, you will find that these glasses can also help to minimize eye strain. This is especially important if you find that you have to stare at your computer or other devices for hours on end each day. Eye strain can become extremely uncomfortable and can cause other painful and annoying symptoms including headaches, blurred vision, and even neck and shoulder pain. These glasses are good to have if you find yourself using your devices for more than two hours at a time – which really doesn’t seem like a long time, does it? Lighter lenses that are yellow in color are ideal for daytime use indoors. When you go outside, they should be removed so your eyes can benefit from some natural sunlight. The natural sunlight also helps your brain determine the difference in the light outside, so it knows when the sun begins to go down because it gets darker. For indoor and nighttime use, then the red or amber colored lenses should be used. They can be worn starting for two to three hours before bed. Remember, the darker the lenses, the more blue light is blocked. Refrain from using these glasses during the day, however, because it may trick your brain and cause an overproduction of melatonin which will tire you out much earlier; this can also lead to a disruption of your natural circadian rhythm. You should never wear blue light blocker glasses while driving either because they can cause color distortion which can affect your driving during the day or nighttime hours. These glasses can effectively protect your eyes from the high energy blue light that is emitted from your electronic devices. They have also reportedly been able to help reduce the effects of eye strain, dry eyes, and even macular degeneration. They block out 90% of the blue light with very little color distortion which increases the user’s overall viewing quality. 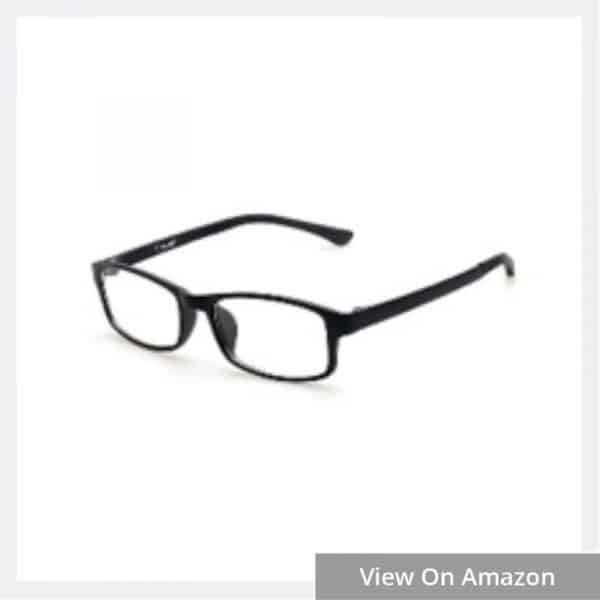 The classic frame is also a suitable style choice for both men and women and can cover a larger field of vision while offering comfort for smaller and larger head sizes. These blue light blocking glasses come with two different lens colors to choose from. There is a clear option that is perfect for daytime use as well as a yellow lens option for evenings. The yellow lens causes minimal color distortion and can help you get a better night sleep. The clear option doesn’t have any color distortion at all. These glasses offer 50% blue light blocking capabilities but also allows for optimal viewing. They also have several lens coatings to further enhance your viewing experience. These glasses offer all-day protection against the high energy visible blue light as well as UV400. They are made from a super lightweight material which enhances their comfort. The frame is flexible, and you will find that there is no pressure being placed on your nose and ears when these glasses are being worn. They can effectively reduce any eye strain you may be experiencing while also helping blurred vision and headaches. 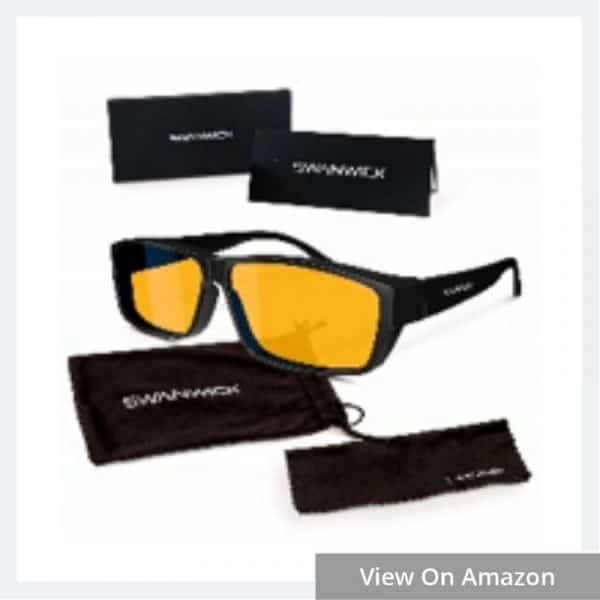 The lenses are high-quality, shock resistant, and waterproof and the glasses come with a lifetime warranty. 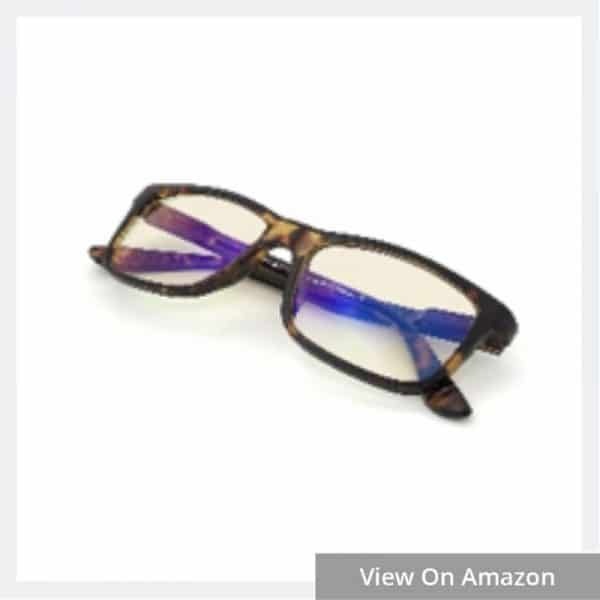 These Spectra blue blocking glasses have bright and clear lenses that are designed to allow as much non-blue light as possible to pass through them. 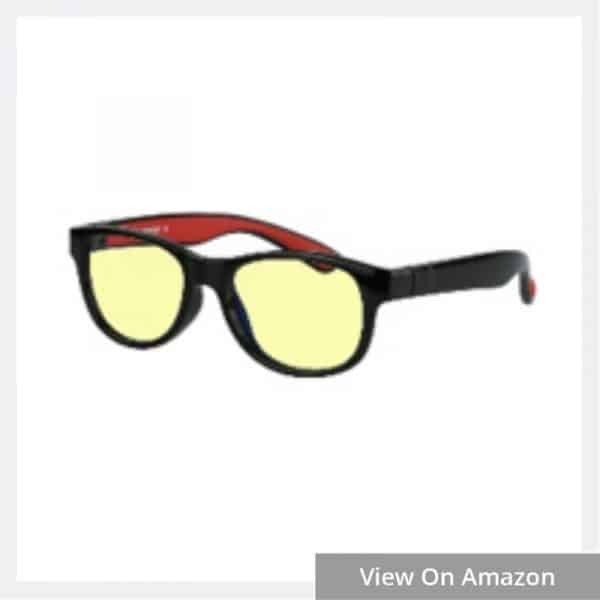 They do not have a dark tint and are not polarized. The thermoplastic frames are durable, lightweight, and flexible and the glasses provide a comfortable wraparound fit. This kind of fit also prevents light from sneaking in through the sides. They are FDA approved and can effectively block 100% of the light in the 280-490 nm range. 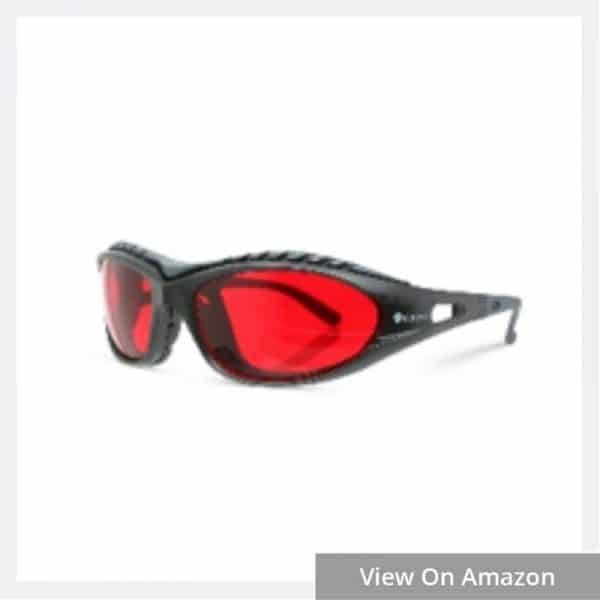 These glasses have dark red lenses that make them the perfect option for nighttime use. The arms of these glasses are now more flexible than ever making them even more comfortable to wear. They help you maximize the control you have over your natural circadian rhythm and helps promote better sleep and less eye strain. These are designed for more sensitive eyes. With two frame style options – the classic and elite – you are sure to find a pair that suits you well. These glasses have been tested and were found to be able to block out 99.9% of the harmful blue rays and UV rays that are constantly emitted from the sun and our artificial light sources. Wearing them before bed is good for promoting better sleep, and they can also help to prevent headaches, eye strain, and fatigue from staring at our electronic devices. 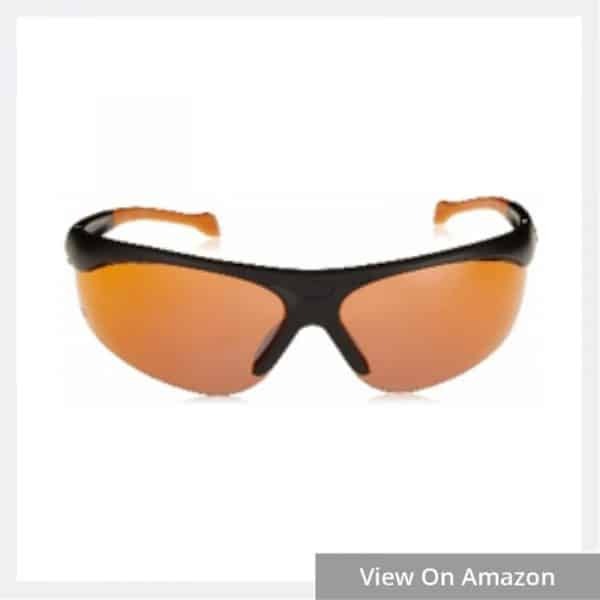 They have dark tinted amber colored lenses making them the ideal option for nighttime use. The lenses will vary in price depending on the strength that it is needed and the lenses that are chosen. They can effectively block out 95% of the blue light in the 390-500 nm range, and they come in a variety of different styles and colors that fit a number of style preferences. These glasses are available in both non-prescription and prescription strength options. 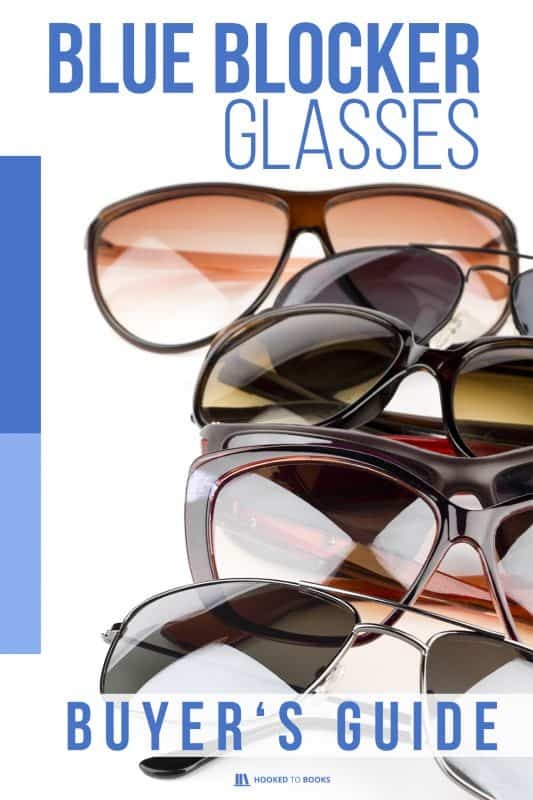 There are fourteen different strength options to choose from which makes the user able to switch out their regular reading glasses for these blue blockers when they need to work. These fit over glasses can effectively block 99.5% of blue light wavelengths and are safe to wear over your prescription glasses to help reduce eye fatigue and strain. They are much stronger than other blue blocker glasses because of their extra thick amber colored lenses that can block out more light than the typical yellow lenses. This version comes with a blue reflective coating, unlike their older model that only blocked out 95% of the rays without this coating. These glasses can easily fit over your everyday prescription glasses or reading glasses. 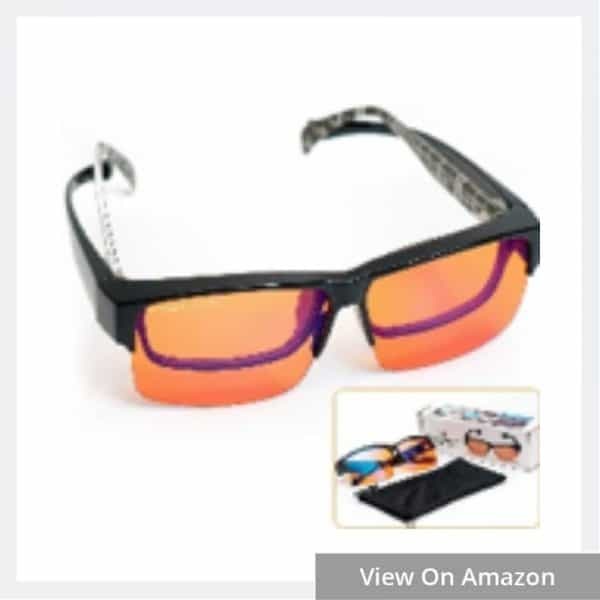 The orange lenses block out more blue light than other computer glasses, and they also come with an anti-reflective and anti-glare lens coating to help prevent insomnia and macular degeneration. They are also very stylish and not clunky like other types. They can block approximately 99% of blue light making them ideal for wearing at night before bed. These glasses have amber lenses that can effectively block out the harmful blue light rays emitted from our electronic devices. They can also help reduce strain and fatigue while relaxing your eyes and promoting the natural production of melatonin to help you sleep. They can fit over most prescription reading glasses as well while still providing the user with a lightweight and comfortable design. These glasses are a very affordable option for those looking for a good way to block out blue light rays before bed. They come with amber tinted lenses and adjustable nose pads as well as a carrying case for the frames and a cleaning cloth. They can effectively block out up to 97% of blue light rays, and they are lightweight and stylish. They are also TX-compatible meaning you can get the frame fitted at any optometrist with your prescription. 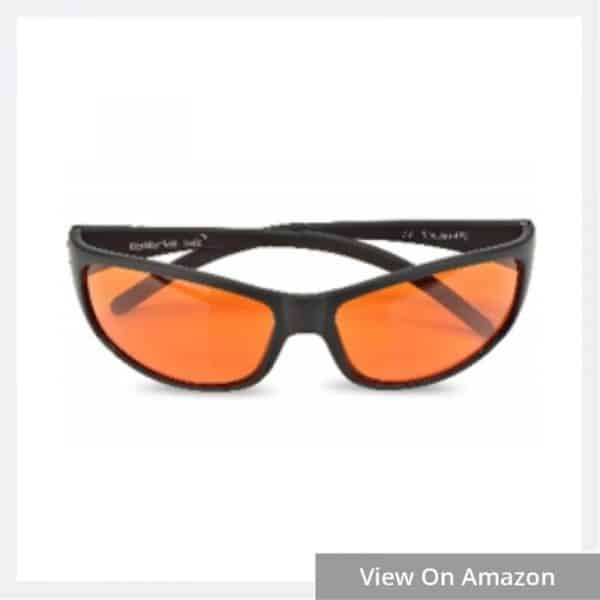 These glasses feature orange lenses with Spectrum Control Technology (SCT) that can effectively absorb up to 98% of blue light that is emitted from laptops, computers, televisions, and other electronic devices we frequently use. They also offer multi-angle viewing with the 3-position lens inclination system. It also helps to prevent neck strain when working or sitting. They can easily be adjusted for comfort, and the molded nose bridge rests nicely on the face. These glasses offer a high level of protection for your eyes while also reducing fatigue, headaches, and tired eyes which can lead to greater levels of productivity. They are a convenient and affordable option if you are looking for a good pair of blue blockers. The high-quality lenses have a filtering rate of 86%. The material has shape memory properties which offer a good degree of flexibility and durability. They are also very resistant to shocks, wear and tear, and acids and solvents. Now that we have covered some of the best adult varieties of blue blockers, we need to shift our attention to some for kids. 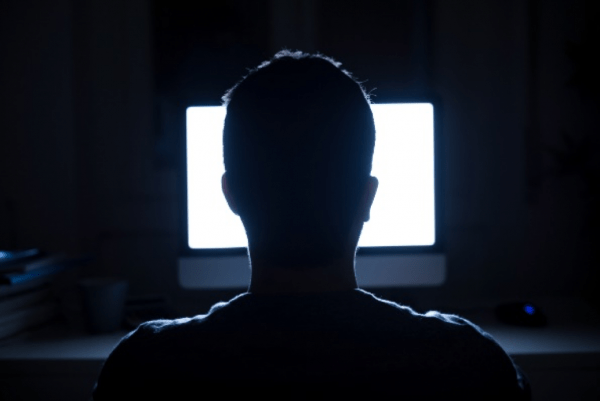 Children today, much like adults, are also constantly being exposed to the blue lights emitted from the same electronic devices we frequently use. 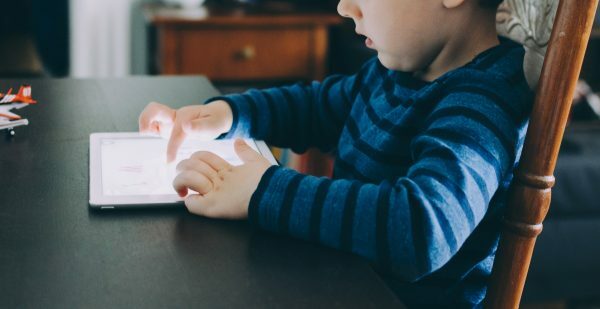 Studies have even shown that a staggering 42% of children aged eight and under have their own tablet devices and 98% live in a household with some kind of mobile device and television. Children also spend slightly over two hours a day in front of their devices and this technology is becoming more and more prominent in society as the years go on, so it is important we take the steps now to protect their eyes like we protect our own. There are so many sources of artificial light that we can all be exposed to including LED light, compact fluorescent bulbs (CFL), fluorescent lights, televisions, computer monitors, smartphones, and tablets. Many of these devices are also utilized in many schools across the country as well. How Does Blue Light Affect a Child’s Vision? Children have an underdeveloped protective structure for their eyes until they reach the age of seven. So, during these development years, their pupils are much larger, and the lenses are clearer which allows even more of the blue light to enter a young child’s eyes. Constant and continual exposure to blue light can increase their chances of suffering irritation to their eyes on a daily basis as well as other long-term damage. Purchasing blue blocker glasses for your child can definitely prove to be a challenge, but it is important because they can help promote damage-free development of their eyes as they continue to grow. When choosing a pair for your child, you want to make sure they block as much blue light as possible, and they are comfortable for the child to wear; otherwise they will just take them off. They should also remain comfortable with a good fit as they continue to grow. These blue light blocking glasses are suitable for children between the ages of three and eight and can be used daily while effectively blocking out up to 90% of the blue light emitted from artificial light sources your children are exposed to. They are also very durable and can stand up to normal wear and tear from a child. 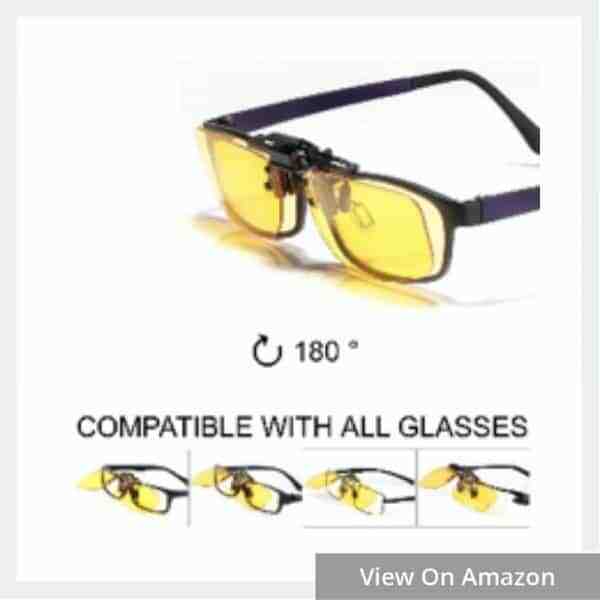 With the glasses, you will also receive a soft ultra-fine fiberglass cleaning cloth, a blue light test card, and blue light torch, and either a rabbit or car waterproof case. 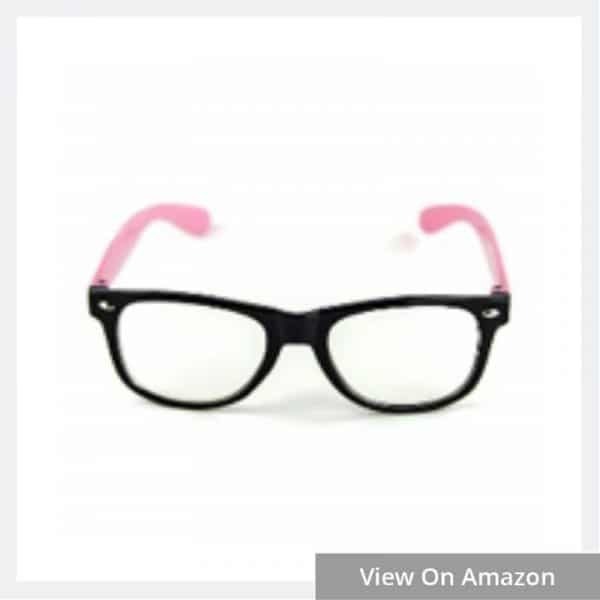 These glasses are suitable for kids ages five to twelve. They feature an anti-glare lens that can help prevent insomnia and macular degeneration. 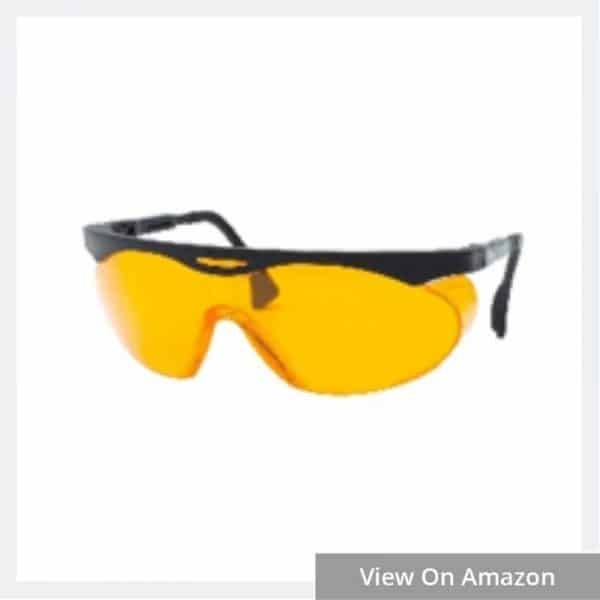 They have a very lightweight and durable design and are also impact resistant, so the lenses are protected in case of an accident or fall. 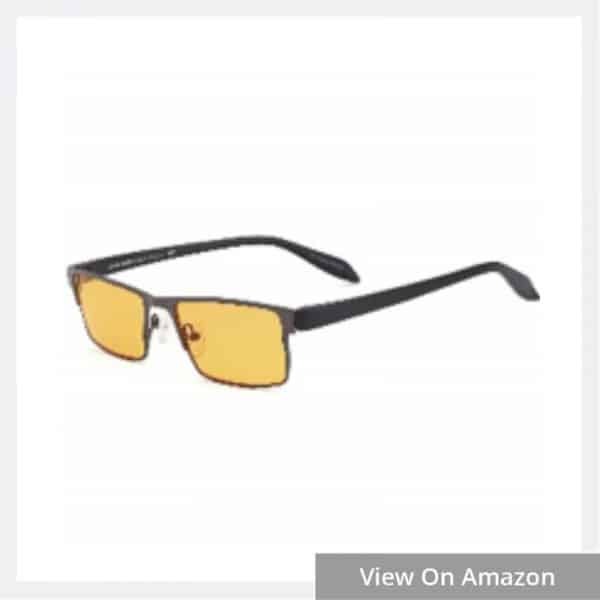 They help reduce eye strain and fatigue as a result of playing video games or computer time. 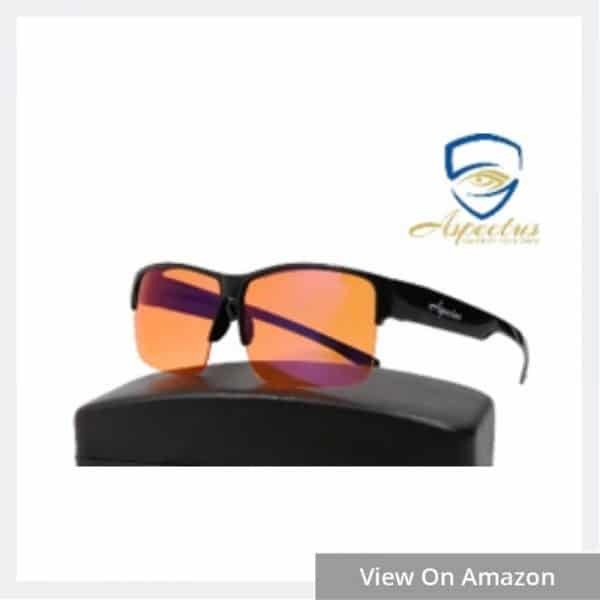 They have a comfortable and ergonomic shape that the children will be fine wearing, and the amber tinted lenses are suitable for both daytime and nighttime use. 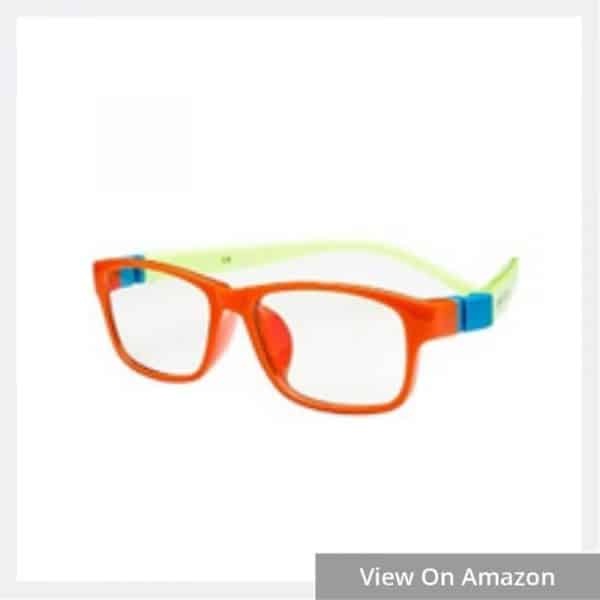 These glasses are suitable for kids four and older. They have anti-reflective, anti-fog, and scratch resistant lenses which speaks for their immense durability. When worn, your child will notice a significant improvement in their viewing with reduced eye strain, eye fatigue, and sensitivity to light. They are designed with all-day comfort in mind and can protect your child’s eyes from excessive blue light exposure. As you can see, blue light blocker glasses can be advantageous for everyone no matter their age. Before purchasing your own, determine what time of the day you will be wearing them the most so you can find a pair with the right colored lenses for that time of the day. Remember, the darker the lenses, the more protection you receive. Also, you should avoid wearing your blue light blocking glasses while driving because the color distortion can affect your driving and can become dangerous. Want to learn other ways to protect your eyes? In addition to utilizing the right pair of blue light blocking glasses, you can also try to limit your screen time and use of your digital devices during the day when possible. If you can, take breaks and do what you can to avoid prolonged use. After working for twenty minutes, avert your eyes away from the screen for at least twenty seconds and look at something further away. When using your devices at night, try a red-light filter app. Additionally, limit your device usage before bed and avoid the electronics for at least one hour before bedtime, so your brain has ample time to begin winding down and preparing for a good night’s rest. Getting enough sleep at night is a big component of our health. As adults, we need at least seven hours of sleep a night to re-energize and charge our batteries for the day ahead.